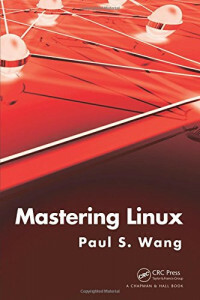 Encouraging hands-on practice, Mastering Linux provides a comprehensive, up-to-date guide to Linux concepts, usage, and programming. Through a set of carefully selected topics and practical examples, the book imparts a sound understanding of operating system concepts and shows how to use Linux effectively. After a primer on the fundamentals, the text covers user interfaces, commands and filters, Bash Shell scripting, the file system, networking and Internet use, and kernel system calls. It presents many examples and complete programs ready to run on your Linux system. Each chapter includes a summary and exercises of varying degrees of difficulty. The companion website at http://ml.sofpower.com/ offers a host of ancillary materials. Along with links to numerous resources, it includes appendices on SSH and SFTP, VIM, text editing with Vi, and the emacs editor. The site also provides a complete example code package for download. This book enables you to leverage the capabilities and power of the Linux system more effectively. Going beyond this, it can help you write programs at the shell and C levelsâencouraging you to build new custom tools for applications and R&D. This book presents a systematic, easy-to-apply methodology for creating effective requirements. The authors present practical solutions for the full requirements lifecycle: gathering, analysis, specification, verification, and maintenance.